What is SMS and How SMS Works? Who has never heard about so well-known SMS? Perhaps this term is not widely used by people, but everyone knows what it is. 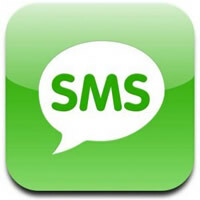 SMS is an acronym that means Short Message Service. The Short Message Service is widely used to exchange short text messages that can be sent or received via a mobile device. SMS has been with us for over 10 years, starting from 90s. A basic idea at time of its release was to use a messaging service that had up to 160 letters for low costs. The user could type in 140 characters, and the rest would be for the operator control. The SMS service represents the way to exchange quick messages with another person and still be able to write as much information in one SMS. It was initially widely used by young people and invented several ways of abbreviating words. For example, "Tb kero", "All bm? ", "You'll star in ksa hj?" (Portuguese) among other abbreviations. Currently the function of the SMS has been extended to various sectors. A good example is the television programs that accept SMS messages for voting for some other attraction or dispute. It is also possible to ask you to send music, horoscopes, tips as well as many other requests through SMS. How the process of SMS sending and receiving works? The process of sending and receiving an SMS message is very simple. The user writes the message in the specific location of a phone, enters the number of the person or department whom he is applying and sends the message. Although SMS is considered to be a fast and effective service, the number of text messages sent by users had a sharp drop in 2010. According to Acision consultancy, which polled 1,206 people aged between 18-65 years of economic classes A, B and C, the Brazilians sent only 21 text messages a month last year. An average number is well below our neighbors in Latin America such as Venezuela with an average of 200 text messages per month and Argentina with 100. For 77.8% of respondents the main reason for the low number of SMS sending is the lack of interest in the service. For 9.5%, the reason is the amount charged for sending messages. This makes us believe that the real reason is the lack of interest in the service. Today a cell can have different roles and SMS is being used less since entering of social networks, MSN, email or any other instant communication tool that end up being faster and direct sending of information. Another factor that must have contributed to depreciation of SMS-service and to the decoupling of the operators of this market is the applications used over the internet that have the same function as traditional SMS. In these applications there is no character limit and you can also send a lot more than a simple text message. "WhatsApp" is an application that, for example, allows the most popular platforms to interact with each other and share photos, texts, contacts saved and more. "Touch" is another application that can be used for sending text, pictures, and other information. We cannot fail to mention also the "Facebook Messenger", which allows users to exchange instant messages. With all this it is undisputed that ways to send messages via cell phone are being developed and are not monopolized by the operators any more. There is now a trivial competition between different means of instant communication, like social networks, MSN, Skype as well as various applications for mobile phones, smartphones and tablets. I do not believe in quick the brief extinction of SMS in mobile phones, I just know that technology exists and that operators are knowledgeable of the current situation. They urgently need to adapt to the environment for not to turn into an old technology, like so many have already done. 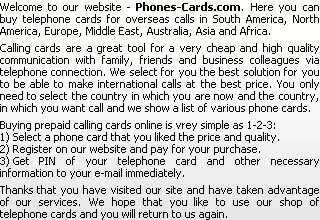 Phones-Cards.com: What is SMS and How SMS Works?